Should All Castles In Transylvania be Restored? 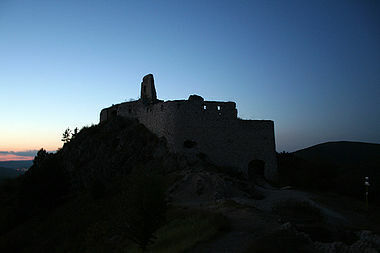 This castle above is the castle of the infamous Elizabeth Bathory. It is now located in a national park where there are several species of endangered plants. The question that one can ask is this: Should all castles in in Transylvania be restored? In many cases yes they should, the castle of John Hyundai was restored and is a popular tourist attraction where people can view some antiques. This a strong way to build the economy. In fact Bran Castle is a popular destination. This castle however was home to a serial killer-- although for the most part long forgotten. Still this is located in an environmentally sensitive area. So, in many ways it should not be restored. It is still an incredible site to see. 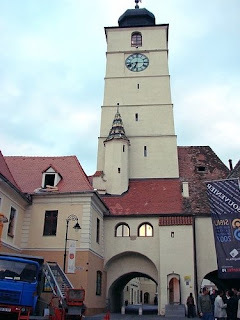 As with everything else, Transylvania has a lot of places that people can go and see now things that they didn't expect. One of them is similar to Alba Iulia, and has places for tourists to take photos. In a way this does mean that some buildings will not be restored. Hi! I'm just here to say that the blog is awesome. I follow it and read every post. I think the castles should be restored in cases when it does not threaten the environment. Bela-- thanks for commenting, and I think we are of teh same mindset, you need to take everything into consideration.